We feel strongly about delivering the very best in safety, design and customer service. We know that your horses are your world, in some cases even your livelihood! That’s why we know how important your transport is to you; and when things go wrong, you need to be able to get back on the road quickly. 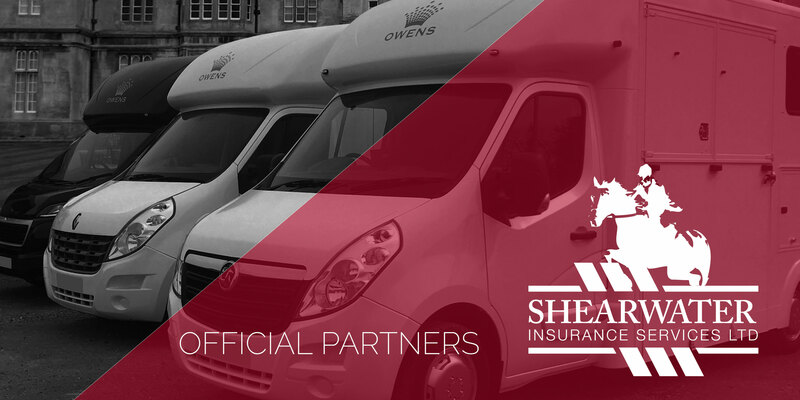 Owens Horseboxes are delighted to partner with Shearwater Insurance, one of the leaders in equestrian insurance, to offer all our customers specialist horsebox insurance and breakdown policies at discounted rates! Just another way to show we really do care. Shearwater's MD Jeremy Lawton commented “We are thrilled to be partnering with leading horsebox manufacturer Owens Horseboxes to offer their customers expert stress-free horsebox cover."